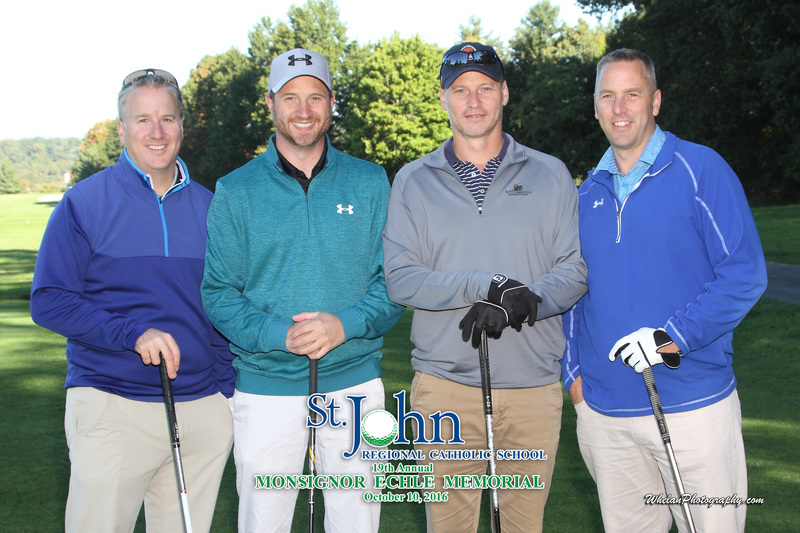 The 20th Annual Monsignor Echle Memorial Golf Tournament will be held on Monday, October 1st, at Holly Hills Country Club. All levels of golfers are encouraged to participate as each foursome will be playing their best ball. Registration starts at 8:30a.m. with a 9:30a.m. shotgun start. Cart, Greens fees, Range Balls, Breakfast, Lunch, Contest, Raffle, and Prizes are included. Brewers Alley will be providing unlimited refreshments. Click here to register players, foursomes, sponsors, and raffle donations. Your contributions and participation will make this year’s golf tournament a success. Please stay tuned for additional instructions for sponsorship and registration on this website page, Facebook, email alerts, and in the friday folder. $5,000 Platinum Sponsor: Includes advertising at all SJRCS events and promotional materials, special recognition at events, development newsletters (which is distributed to 10,000 households), link on our website, and mentioned in any publicity created from the events. Includes a foursome in the Golf Tourament. $3000 Gold Sponsor: When sponsoring at this level you receive a banner sign at all SJRCS events, special recognition at the event, and link on our website. $1500 Silver Single Event Sponsor: Includes event sponsor at one event of your choice. $500 Bronze Advertising Sponsor: Includes a tee sign at the golf tournament, and an ad in the Gala and Fair program. $250 Individual Sponsor: This sponsorship creates a great way for a parent, grandparent, faculty member, alumni, regional parishioner, and/or friend to support our school. $150 Advertising Sponsor: Includes your choice of a program advertisement, tee sign or mile maker sign at only one event.